After many days of negotiations between manager and federation, manager Carlos Queiroz has been announced as the new Colombia boss. The Colombia National Team has finally reached an agreement on Thursday to appoint their new manager, they have announced that Portuguese coach Carlos Queiroz will be the man to take charge of the squad from now until the 2022 Qatar World Cup. The man who played a very important role as Sir Alex Ferguson’s assistant manager in two separate spells, the man who coached both Real Madrid and Portugal will finally take on a new challenge after leaving his job as the Iran National Team boss for eight years. The Colombian Football Federation had been talking to Queiroz about the position for months, but they still hadn’t announced anything because they wanted to reach a proper agreement that everybody could be happy about. After the whole mixup with Argentine manager Jose Nestor Pekerman, the federation didn’t want to go through any more problems and they respected the manager’s wishes to coach Iran through the Asian Cup and then make the announcement. The press in South America finally received the news that the Portuguese manager was going to get officially announced this week, something that happened earlier on Thursday. During the press conference of his presentation as the new manager for Colombia, Queiroz explained the objectives he has for the squad and also mentioned some of the players who will be important throughout his process that should take the team to the Qatar 2022 World Cup. “My goal is to preserve the prestige, reputation and placement of the Colombian national team in the world and that will be my first priority,” said Queiroz on his presentation according to ESPN. “[Bayern Munich midfielder] James [Rodriguez], [AS Monaco striker Radamel] Falcao and [Napoli goalkeeper David] Ospina are the soul of this team and I have to analyse their performances but when you start a project, the wise thing is to create a group around those players as they are heart and soul of the team,” he added. “For me it’s an honour, and I’m happy to have the trust of the federation,” Queiroz continued. 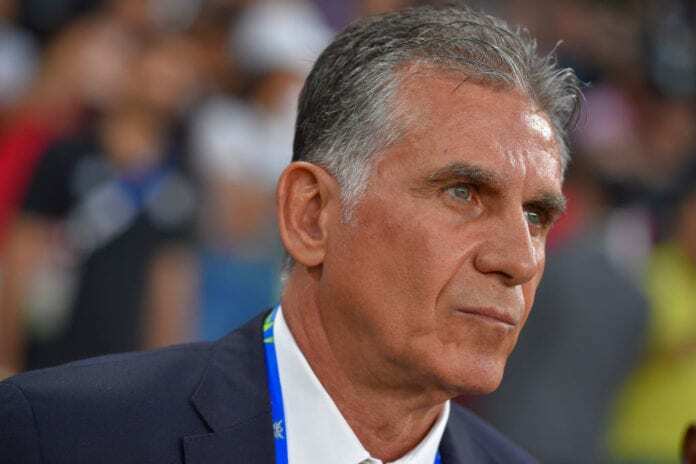 Carlo Queiroz has gone through a very versatile career as a manager as the 65-year old man has been around as a coach since 1990 when he took control of the Portugal under-20 squad, he then coached the major National Team from 1991 to 1993. The new Colombia boss went on to coach Sporting Clube from his country, then he went to the United States to manage the New York Metro Stars. 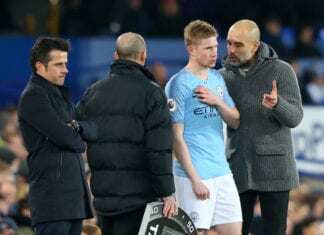 But the real big break that Carlos Queiroz had as a manager came in 2002, when Sir Alex Ferguson called him to be a part of Manchester United as his assistant manager. The first spell lasted only a single season because he was then called by Florentino Perez to coach Real Madrid, but Queiroz didn’t have success with Los Blancos despite having one of the club’s most impressive rosters in history. After a single year with Los Blancos, Ferguson took Queiroz back and together they formed a highly competitive Manchester United squad that went on to win the 2008 UEFA Champions League. After that summer, the Portuguese manager took the national team from his country for two more years before he took that job with Iran that lasted eight consecutive years. This new challenge really transforms Queiroz into a true Globetrotter, the man has literally coached all around the world now. How do you think Carlos Queiroz will do like the new Colombia manager? Please share your opinion in the comment section down below.